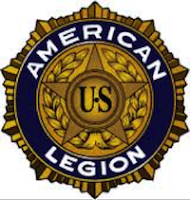 The American Legion Post 227 in Shoreline will hold their monthly meeting on Tuesday evening, April 3, 2018. A meet and greet starts at 6:30pm and the program starts at 7:00pm. One of April’s featured presenters will be Brian Sequin, who served as a topographic surveyor with the Army Corps of Engineers. In 2009, he and other veterans became interested in what is now the Honor Flight Organization. He was a charter member and serves on the board of directors of the Puget Sound Honor Flight organization. Since 2011, he has helped with the sponsorship of veterans of WWII and served as Guardian on numerous honor flights. Brian is truly a pioneer in this incredible worthwhile organization. The other featured presenter will be Jerry Pickard, a long-time member of Post 227. He will discuss the article he published in the Shoreline Area News concerning the Hero’s Café in Lynnwood. Then he will relate his experiences in the U.S. Navy, followed by his experiences in the U.S. Army. There will be an opportunity for questions after both presentations. While you are at the meeting, you can check out the new Post Library that includes a large collection of militarily related books, videotapes and DVDs. Any of these can be checked out, used and returned by post members or community members without charge. Also check out the Post 227 website.